Forget the can. Grab a bag of fresh cranberries, sugar and some water, oranges and sherry (a fortified wine, like Marsala) and we can have an array of cranberry sauces to amaze everyone. 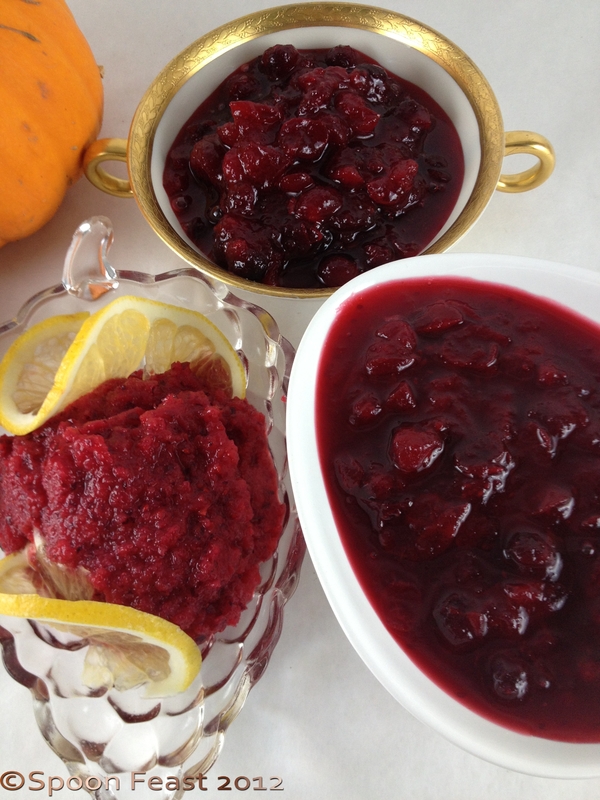 Here are 3 super easy and full of flavor cranberry sauces. The only one I don’t think you’ll try is the sherry one, but one day, perhaps you will enjoy the complexity of flavors of sherry and cranberry. 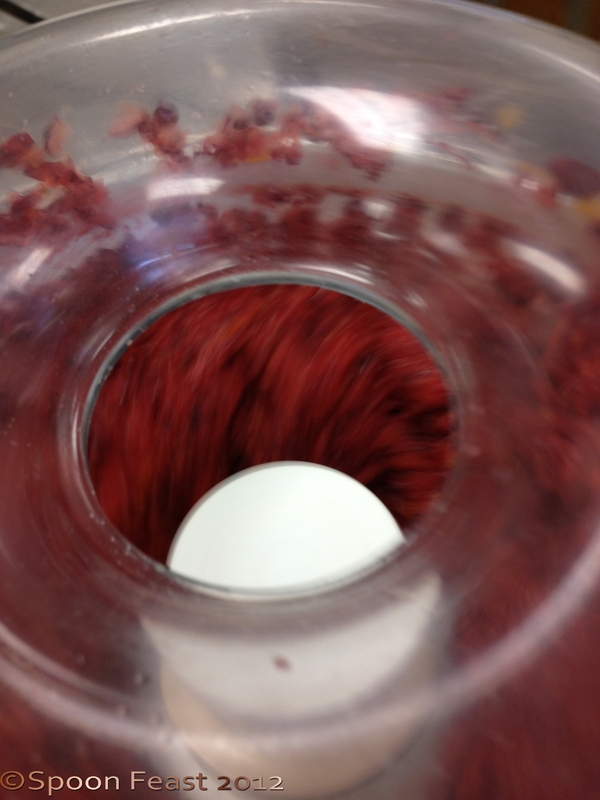 The first recipe is found on nearly every bag of fresh cranberries. 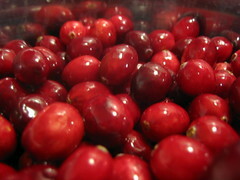 1 12-16 ounce bag of fresh cranberries or equivalent of frozen berries. Add all ingredients to a deep sauce pan. Bring to a boil, reduce heat and simmer at an active simmer for 5 minutes. Boil then actively simmer for 5 minutes. Serve warm or cold. Serve warm, room temperature or cold with roasted or grilled meats. Especially Thanksgiving Turkey! Remove the pithy core and seeds’ cut into quarters. Use a blender or food processor to puree. Remove the seeds and the pithy core. 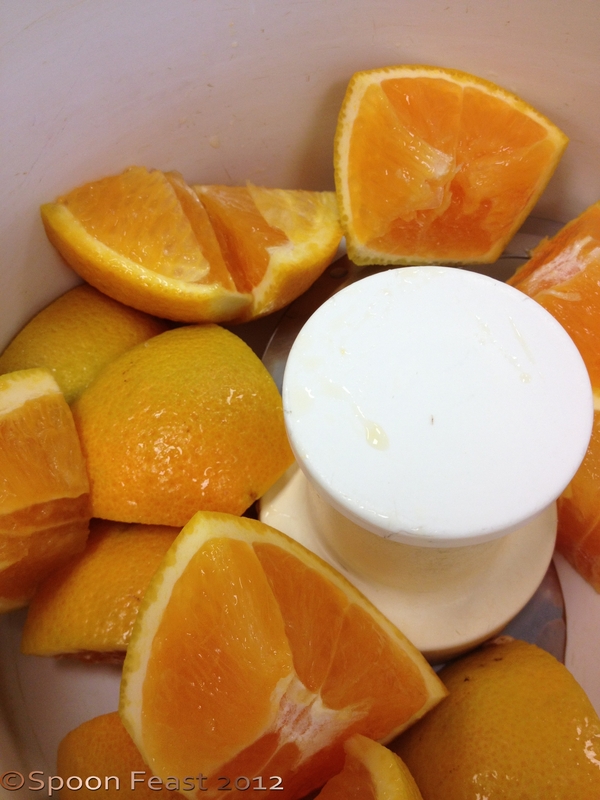 Add the oranges, cranberries and sugar to a food processor or blender and puree until almost smooth. Thin with either cranberry or orange juice if needed. Place in a container and serve with just about whatever you want. I like turkey especially. If you make this with frozen cranberries, you get a sorbet like consistency. Delicious! Add all ingredients to a deep sauce pan, except the sherry. Bring to a boil, reduce heat and simmer at an active simmer for 5 minutes. Stir in the sherry. Blend until smooth if desired. Strain if you want a smooth sauce. Serve warm, room temperature or cold with roasted or grilled meats. 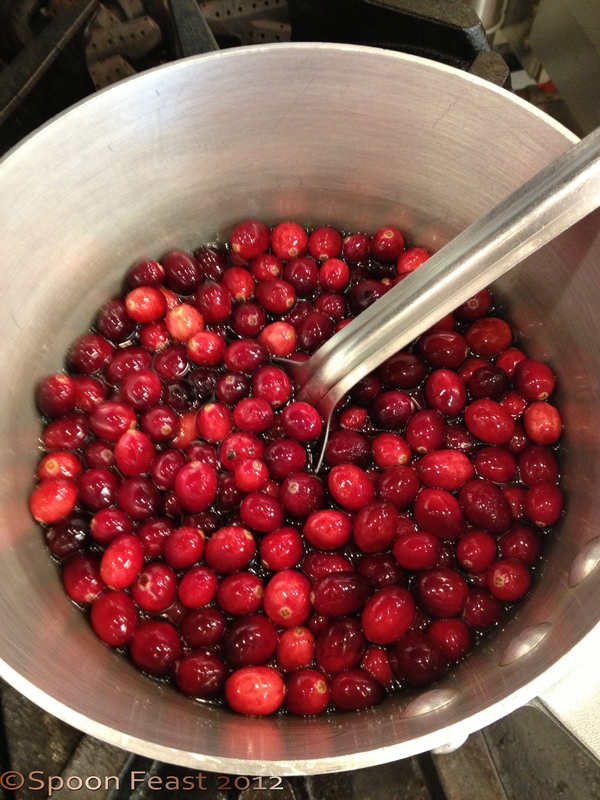 These are the 3 most popular cranberry sauces our family uses. So here you go. You can now carry on Turkey traditions! 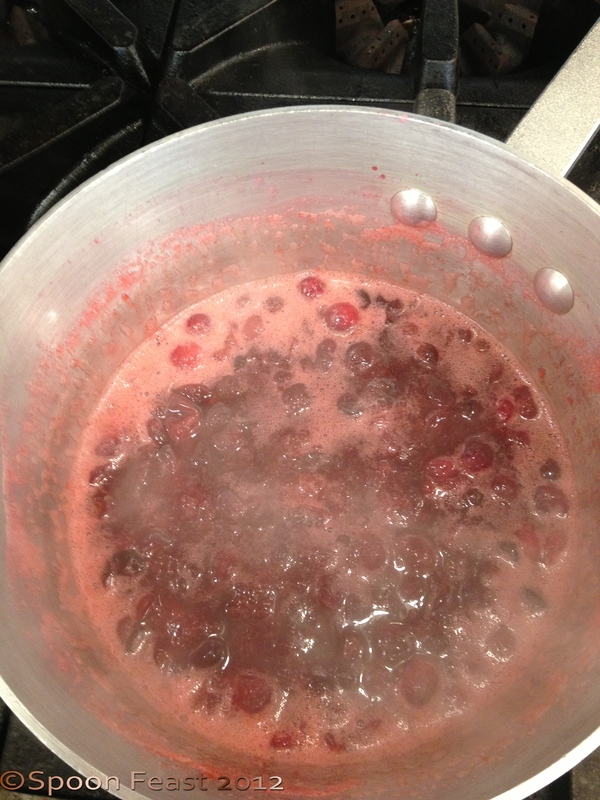 This entry was posted in basic skills, Cooking, Recipes, To Tyler: How to Cook: and tagged cook, Cranberries, Cranberry, Cranberry sauce, Sauce, Thanksgiving, Thanksgiving dinner. Bookmark the permalink.